Showing results for tags 'ghost rider'. hi everyone, This thread will be spooky, chilling, and more than a little fantastical. I've got lots, complete runs, loads of singles from a variety of bronze age titles. All Marvel, and mostly mid grade. The first in the thread trumps all other negotiations. I'm always open to offers and bundling so definitely shoot me a PM to discuss. no hosers or probies Shipping in the USA is $5 for the first book and an extra $1 for each additional book. If you buy enough that a flat rate priority option makes more sense, we'll do that. Canada and other International shipping is fine, I'll charge you whatever it costs me. Paypal is preferred. I'll also accept money orders or checks (check has gotta clear before I'll ship) Returns are fine. Please let me know within 5 days of receiving the books, and get them back to me just as you got them. Return shipping is on you. Thanks for looking! Hello Everybody! Just one for today. Usual rules apply. 1st in the threads trump any ongoing negotiations. Price includes shipping in USA. If outside please contact me first. No returns on CGC graded books at this time. Paymeny via check, MO or PayPal. zeeto posted a topic in Comics Market - Want To Buy! Hi, Looking for a CGC 6.0-8.5 or high grade raw Marvel Spotlight 5, and trying to keep it below ~$1100. I'd be willing to go higher for a good deal though. Let me know what you have! Silver-Age AMAZING SPIDER-MAN and MORE eBay Listings! NEW eBay auctions and Buy-It-Now Comics! AMAZING SPIDER-MAN #3 (1st Doc Ock); #4 (1st Sandman); #6 (1st Lizard); #50 (1st Kingpin); and #300 (1st full Venom) All are on auction until Friday night, LOW starting bids! BUY-IT-NOW comics include: AVENGERS ANNUAL #7 (Thanos); IRON FIST #14 (1st Sabretooth); MARVEL SUPER HEROES SECRET WARS #8 (Origin of Spider-Man's black outfit, AKA Venom); MARVEL SPOTLIGHT #5 (1st Ghost Rider); SPECTACULAR SPIDER-MAN #64 (1st Cloak and Dagger); and TOMB OF DRACULA #10 (1st Blade, The Vampire-Slayer)! I will be listing more items very soon, as well! https://www.ebay.com/str/comicsunlimited Comics Unlimited's eBay shop! colossus is awesome! posted a topic in Comics Market - Want To Buy! gotpong posted a topic in Comics Market - Want To Buy! Shinwar posted a topic in Comics Market - Want To Buy! WTB: Marvel Spotlight # 5 9.2 w/ White Pages PM if you are selling. 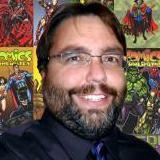 Anthony Bischoff posted a topic in Comics Market - Want To Buy! I am looking for Marvel spotlight 5 (5.0 or better) to trade. I can offer a fantastic four 45 (raw)at 4.0 to 4.5 and a fantastic four 46 (raw) at a 5.0 and a fantastic four 20 at a 2.0 to 2.5 and I also have some raw tales of suspense, tales to astonish and x men 11, 19. Please make fair trade requests. Aepreciado posted a topic in Comics Market - Want To Buy! Anyone have a marvel spotlight 5 at a cgc 9.6 - 9.8 grade with white pages they are looking to sell? Have been trying for so long to get this book and no luck so figured I'd throw it out there here. THREAD CLOSED First time attempting a sale here! I have made one purchase, so have limited feedback in that capacity: Feedback Thread All prices are SHIPPED in US (international, please PM for quote). PayPal only. Can reduce total by $10 for each additional book if buying multiple. First wins! The following books are up for sale. Scans will follow (additional pictures available upon request, PM me! ): Giant-Size X-Men #1 - CGC 4.0 - $400Hero for Hire #1 - CGC 6.5 - $260Iron Fist #14 - CGC 7.0 - $170 -------------------- Amazing Spider-Man #121 - CGC 6.0 - $235 SOLD! Amazing Spider-Man #122 - CGC 6.5 - $155 SOLD! Daredevil #1 - CGC 3.5 - $960 SOLD! Marvel Spotlight #5 - CGC 5.5 - $275 SOLD! Marvel Premiere #15 - CGC 5.0 - $160 SOLD! Iron Man #55 - CGC 6.0 - $480 SOLD! 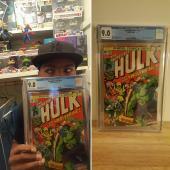 Incredible Hulk #180 - CGC 7.5 - $320 SOLD! TXReplicant posted a topic in Comics Market - Want To Buy! Greetings Boardies, Would anyone be willing to part with a MS #5 in CGC Universal 8.0 with White Pages? I am exclusively interested in this grade and page quality. Also looking for one with a nice wrap and presentation. Thank you!